Colorado DUI Record Attorney - Christian A. Schwaner, P.C. Some states employ the lookback period. This period assesses prior DUI convictions back by a certain number of years (such as two, five, or seven). If you have had previous convictions within the lookback period, those previous convictions would determine if your new arrest was your third, fourth, etc. DUI offense. Then, the penalties for your DUI (if convicted) would be in accordance with the correlating penalty under the statute. In the state of Colorado, there is no lookback period. In fact, more states are employing similar policies where all prior DWAI and DUIs are relevant. This means that even if your first DUI conviction was 15 years ago, the next DUI (15 years later) could be your second offense. In other states, if your conviction was so many years ago, then your new conviction would be considered a first offense. But, Colorado feels that all convictions are relevant; therefore, you will have no grace period to erase any past convictions. Will Past Convictions Hurt Me? In Colorado, there are strict penalties and minimum sentences based on your number of DUI convictions. Therefore, the courts will look back at your entire lifetime of convictions to help determine the appropriate sentence. While there are minimums, judges can use their discretion at sentencing to increase from that minimum timeframe. The older a conviction is, the easier a judge may be on sentencing – especially if you have over a decade between convictions. However, prosecutors will use all relevant and past conviction history to help increase your sentence – and prove their case. Therefore, if you have had a previous DUI (even if it was years ago), they will use that to prove that you have a pattern of such behavior. They will seek the mandatory minimum jail sentence with your multiple offenses. What if My Past Conviction Was for Underage DUI? In the state of Colorado, an underage driver cannot have a BAC of 0.02 percent or more. If so, he or she could face a DUI conviction. Even if your first DUI was while you were underage, your second offense after 21 years of age will still be relevant and considered a second offense – meaning harsher penalties. You may think that refusing the chemical test will help you avoid a second or third conviction, but there are penalties for refusing to take the test – and you could still be convicted of a DUI even without chemical test evidence. Under Colorado’s implied consent law, if you refuse to take a chemical test, you will be subject to fines and an automatic license suspension that ranges from one to three years of revocation. The penalties for multiple DUI offenses are harsh. 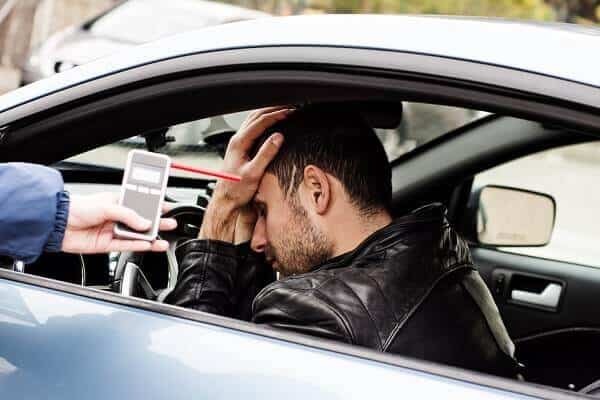 If you have more than one DUI on your record, it is imperative that you contact an attorney right away. Christian A. Schwaner, P.C. can assist you with your case. As a former prosecutor himself, he understands the mandatory minimum sentencing and how harsh prosecutors will be for second and third-time offenders. Schedule a consultation with him today to explore your defense options by calling 719-577-9700, or fill out his online contact form with your legal questions.